Provides digital products group with one-stop solution for end-to-end application performance, customer experience, and business metrics. 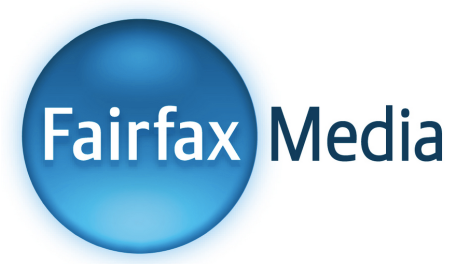 Fairfax Media Limited [ASX:FXJ] is an innovative and digitally progressive media company in Australia and New Zealand reaching more than 13 million Australians across digital and print; more than 2.2 million Australian radio listeners; and around 3.5 million New Zealanders. There are also more than 2.2 million people interacting with Fairfax at around 50 events. Fairfax has a portfolio of leading digital products such as the online news sites smh.com.au in Australia and stuff.co.nz in New Zealand. The media giant’s independent journalism and quality content has been keeping people informed and connected for more than 180 years. Business divisions include: Australian Publishing Media, Domain Group, Digital Ventures, Fairfax New Zealand, and Life Media & Events. Alerting: Christopher van Dal, DevOps engineer at Fairfax, appreciates New Relic Alerts, which let Fairfax set triggers for certain conditions and notify the appropriate on-call engineer immediately. Pre-production monitoring: Fairfax also uses New Relic Synthetics to monitor its pre-production websites, giving developers more insight into page load times and how external files are being consumed. New Relic helps Fairfax save time and resolve issues before they impact users. “Previously we’ve had instances where it took hours to understand the source of a performance issue,” says Bridgman. “With New Relic, we’ve gone from hours of effort to a matter of minutes.” New Relic also helps Fairfax determine how to prioritize efforts for the greatest impact. “With insight into our critical customers, we can prioritize requests and understand which parts of the system are most important to improve on,” says Choong. Perhaps most importantly, New Relic gives Fairfax a view of the customer experience. “New Relic shows us who is using the site, what they are doing, which users are the highest volume users, and more,” says Choong. “It allows developers to really connect to customers.” Connecting with users is part of what helps Fairfax reach and engage millions of people as it transforms its business for the future.